If you hate waiting for your smartphone to charge, relief is coming soon. After some hiccups, Qualcomm's superfast charging technology, called Quick Charge 4, will be in smartphones around the middle of this year. Qualcomm says Quick Charge 4 is one of the fastest smartphone battery technologies. It can charge a smartphone up to 50 percent in less than 15 minutes, or give enough juice for five hours of talk time in five minutes, the chip maker claims. The new charging technology is about 20 percent faster than its predecessor, Quick Charge 3, which is in many smartphones from Sony, LG, HTC and Motorola. 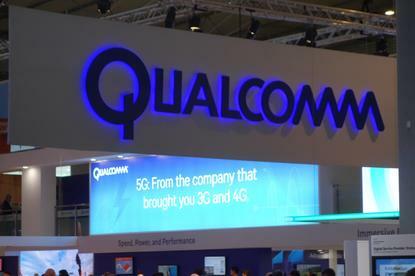 Qualcomm's claims are based on fast-charging a 2,750 milliamp-hour battery. Many of the new phones have batteries with capacity exceeding 3,000 mAh. Fast charging is an incremental step toward solving the battery-life problem, an ongoing issue for smartphone users. Quick Charge 4 works with USB Type-C, which can deliver more power over cables in order to charge phones faster. Software tweaks also help to make the technology faster than conventional chargers. Quick Charge 4 was announced in November, alongside the introduction of the Snapdragon 835 chipset. But some new smartphones, like Sony's Xperia XZ Premium, which has the Snapdragon 835, surprisingly were introduced with Quick Charge 3. Samsung's new Galaxy S8 smartphones, which are also equipped with Snapdragon 835, have both wired and wireless fast charging technologies that are proprietary. Qualcomm declined to name any phones that will come with Quick Charge 4. It's common for device makers to disclose such features. Qualcomm claims more than 600 million devices have shipped with Quick Charge 2 and 3.